It is almost Easter folks! It took me quite a bit of brainstorming to decide what Easter recipe I wanted to create this year. 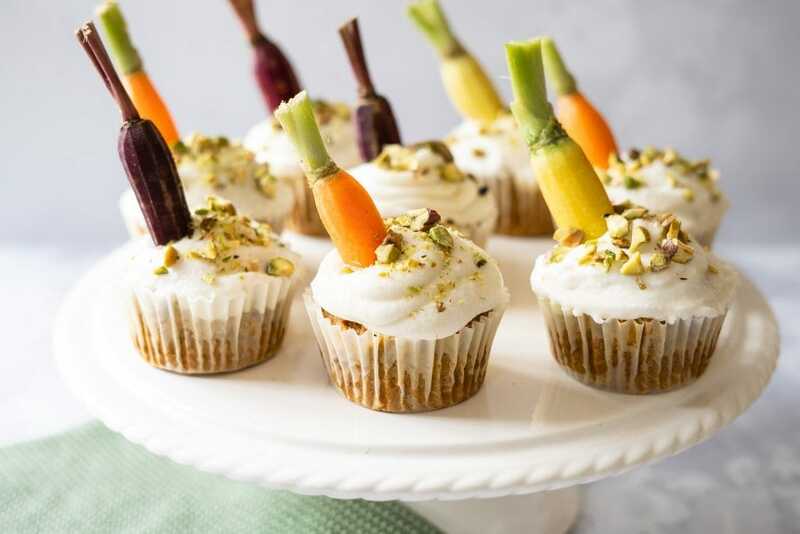 I knew that I didn’t want anything chocolate, and then when I saw these rainbow carrots in the shops I instantly knew it had to be carrot cake. 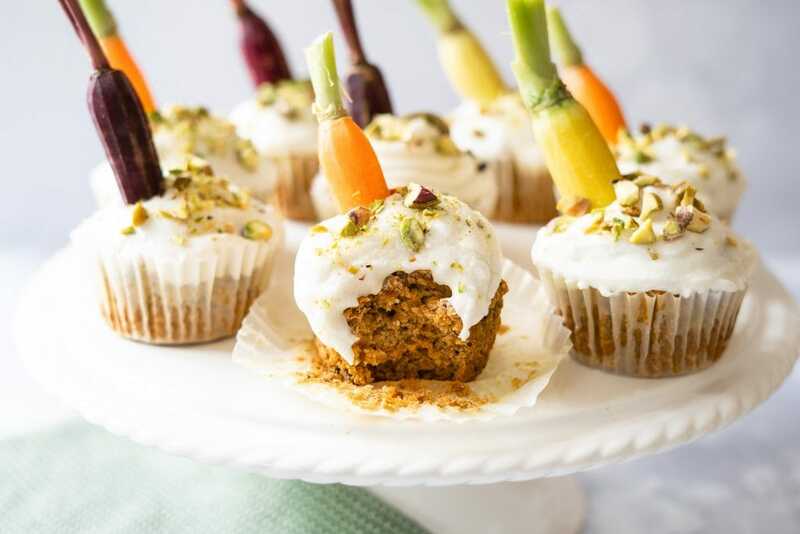 Vegan carrot cake cupcakes to be exact! 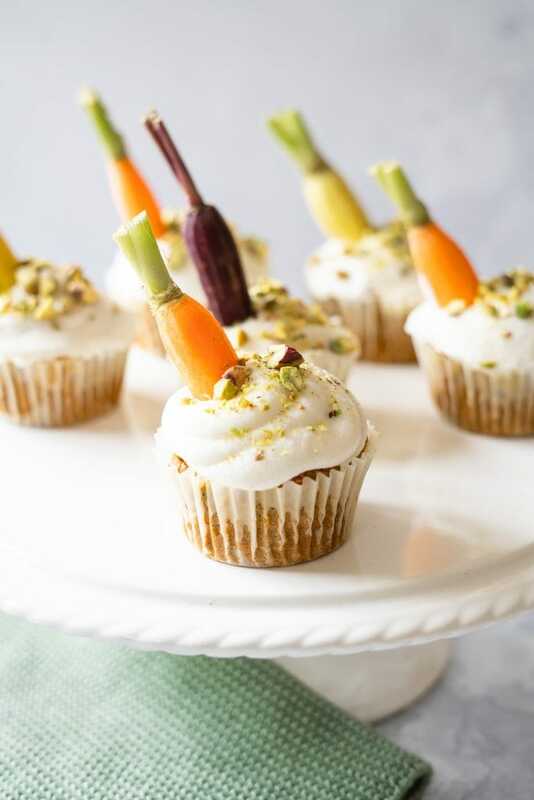 These cupcakes make the perfect treat to have on your Easter table this year, you can get really creative with the decoration like I did and turn them in to a centrepiece! These cupcakes have the lightest, fluffiest sponge that is full of flavour and you seriously cannot tell it is vegan! Topped with a coconut cream icing/frosting that is also entirely vegan and is oh so delicious! 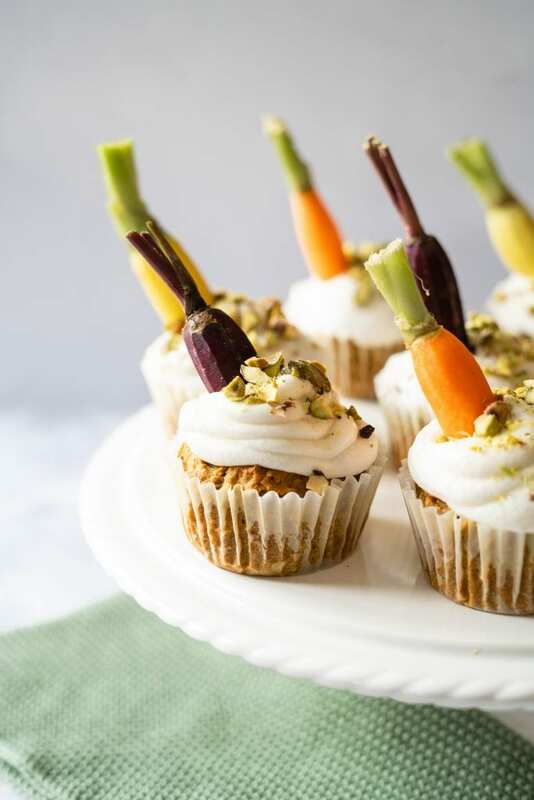 I was mystified when I first came across the concept of using canned coconut cream to make icing, but it whips up in to such a light “buttercream” that is just perfect with the warm flavours in these cupcakes. You will need applesauce for this recipe, this is what helps keep the sponge so moist. This isn’t apple sauce like you would have with pork, this is applesauce as in the American snack! I made my own, but you can also pick some up in the shops, just make sure it is unsweetened. If you want to make your own, simply take 6 apples, peel and core them and simmer them in a saucepan with 1/2 cup water, juice of 1/2 lemon and 1/2 tsp of cinnamon for 15 minutes. Then blend it up in a food processor and there you have it! For this to work, you need high quality coconut cream, not coconut milk. I got mine from Coconut Merchant via Ocado. You also need to chill it in the fridge overnight, this helps make it nice and solid and easy to whip. You will only use the solid part, so either discard the liquid in the container or save for a curry or smoothie. A hand mixer or stand mixer is fairly essential for this (unless you have guns of steel!) as it takes a whole lot of whipping! 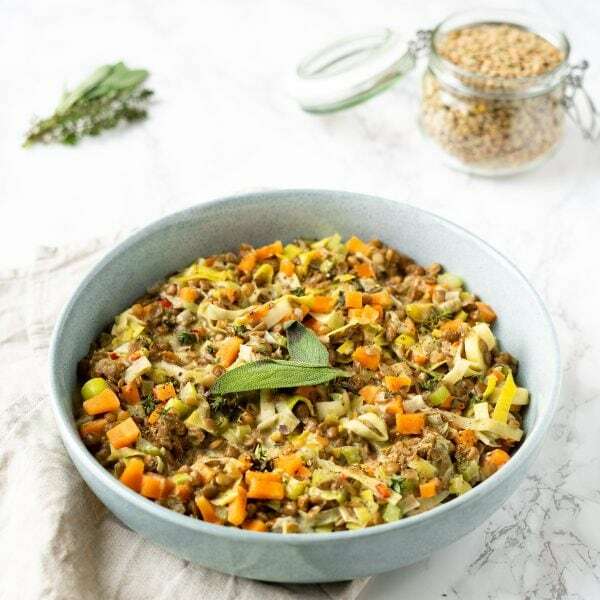 Make the flax egg mixture and place in the fridge to chill for 15 minutes. Line a 12 cup muffin tin with cases. Grate the carrot and set aside. Mix the flour, cinnamon, nutmeg, sugar, bicarbonate of soda and salt. 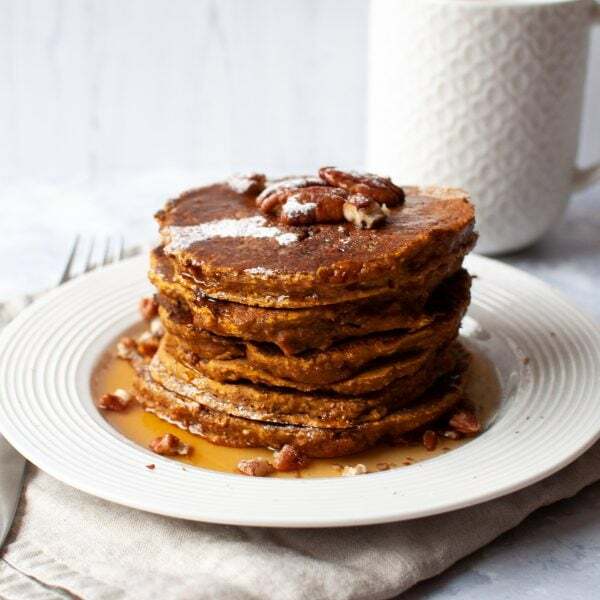 Stir through the flax egg, applesauce and coconut oil. Stir through the grated carrot. Spoon a heaped tablespoon of mixture in to each case. Bake for 20 minutes or until a toothpick inserted comes out clean. Allow to cool completely on a baking tray before icing. Place the solid part of the coconut cream in to a bowl with the icing sugar and whip with a mixer until fluffy. Be patient, this make take a while! If your coconut cream is not chilled fully, you may find it hard to whip. I hope that you guys enjoy this recipe and have a lovely Easter! 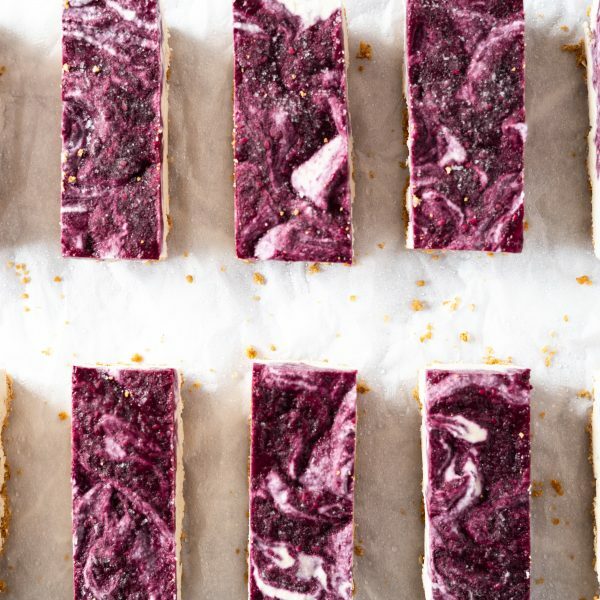 If you fancy trying some more vegan baking recipes, try my Blackberry Cheesecake Bars that I recently shared – oh so good.